Two Major Announcements From LEGOLAND Florida! | DaDa Rocks! Two Major Announcements From LEGOLAND Florida! 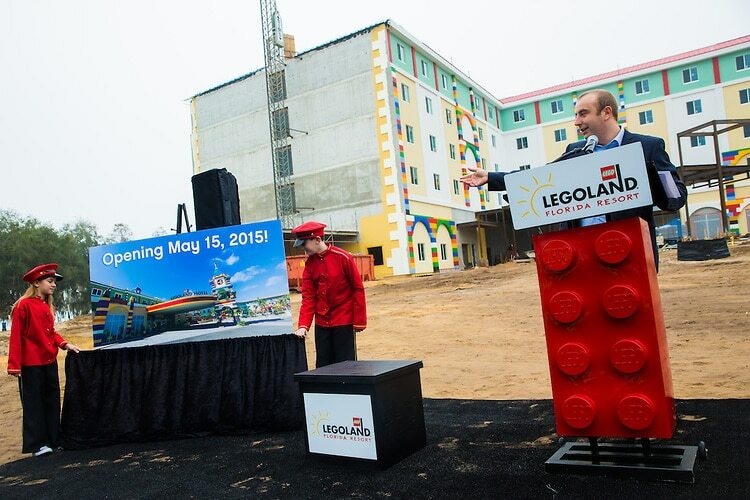 LEGOLAND® Hotel at LEGOLAND® Florida Resort is officially opening May 15, 2015! The announcement came today from General Manager of LEGOLAND Hotel, Kevin Carr, during a press event at the Hotel site, located just steps away from the theme park entrance. LEGOLAND Florida Resort General Manager Adrian Jones also announced Heartlake City, the newest land based on the popular LEGO® Friends line of toys, is opening this summer. Today’s event at the Resort included a hard hat tour with a behind-the-scenes look at the Hotel. Media and VIP guests were taken to one of the fifth floor suites to experience the spectacular views of Lake Eloise, the theme park with its 50 rides, shows and attractions, and the site of the future expansion, Heartlake City. PreviousPlay as Your Favorite Marvel Villains and Outlaws in “Disney Infinity 2.0”! YO GABBA GABBA! ANNOUNCES 60 CITY NORTH AMERICAN TOUR: THERE’S A PARTY IN MY CITY!